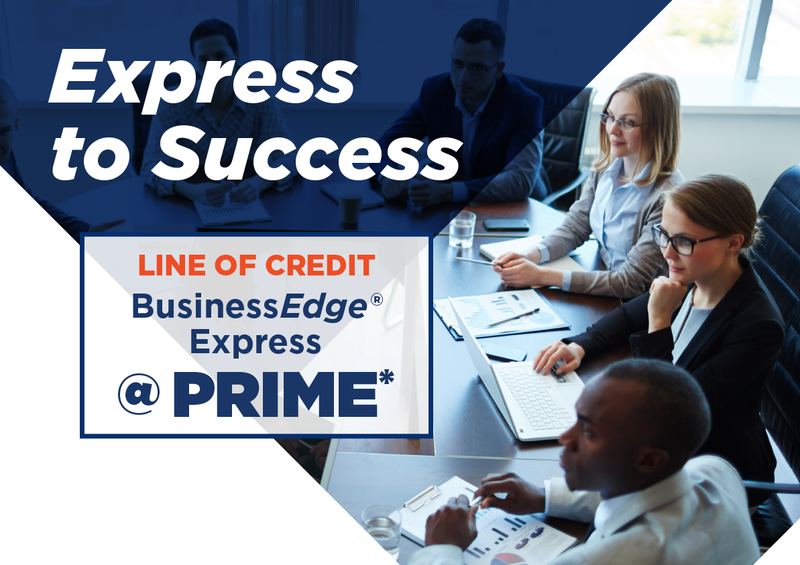 Everything about a BusinessEdge Express Line of Credit is fast. A simplified application and local decision-making gives your business quick access to working capital. Spencer’s powerful digital banking tools make it easier than ever to access funds and move your business forward. Use a line of credit for cash flow management, seasonal or inventory purchases, or any purpose that moves your business forward. Speak with a business lending specialist today! Schedule a time to speak with your local banker today, or simply visit your local branch to open your accounts! *The Prime Rate is the highest Prime Rate published by the Wall Street Journal for the last day of the preceding calendar month, which is currently 4.50%. There are no additional fees associated with the BusinessEdge Line of Credit. Offer is subject to credit approval. Rates and terms are subject to change without notice. Maximum loan amount is $250,000. An active BusinessEdge Checking Account is required to receive the stated APR. Offer only available to new BusinessEdge Express customers. APR=Annual Percentage Rate.